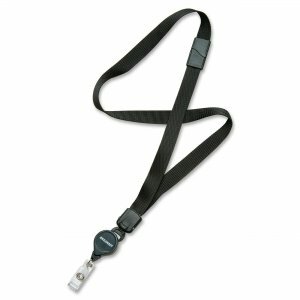 Neck lanyard with retractable identification reel offers the perfect way to display your identification without attaching it to clothing. The ID card reel is anti-twist with a 36 pull cord and attaches easily to your ID card. The lanyard is made of black nylon. Durable plastic components and safety breakaway add safety for everyday use.